So, it seems that Record Store Day is once more just around the corner. And I'd just like to suggest that you might wish to add James Yorkston's "The Demonstrations of the Craws" to your panic-list. I know exactly what you're thinking: "But Pual, you know I can't even begin to think about buying that, or anything else, not even the "Shirley Inspired" Shirley Collins tribute album, not when all of my mental energy for this next month will be expended purely on worry over how I will get my hands on a copy of the original Graeme Miller & Steve Shill "Moomins" theme music on 7" from Finders Keepers with fuzzy felt cover." And I understand, completely. 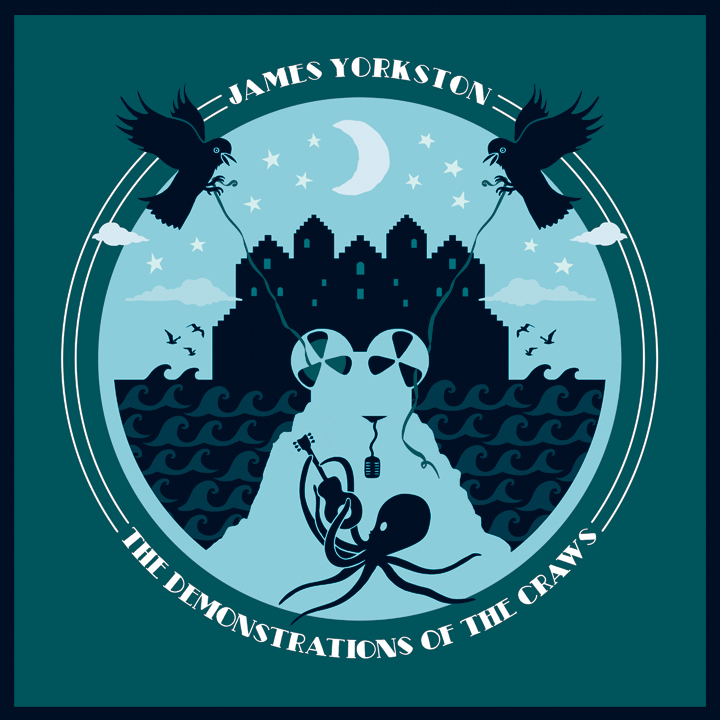 But this JY 12" contains demo versions of songs from one of last year's best albums, and I did the artwork, and it has a sort-of Shaking Stevens octopus on it, and there are only 500 copies being pressed, so just take a deep breath and scratch it onto your list, as I'm sure it will only bring you relief once you've done so. And if you find you're still hyperventilating, perhaps trying watching a few episodes of the original Moomins animation on this wonderful archival site; should calm you down in no time.